Spring is here and Easter is fast approaching. If you love creating cards and other crafts to decorate your home with this beautiful Easter season, but you're not very good at drawing or the result of your project does not work out, then Hellokids offers you a great video tutorial for creating a beautiful Easter Egg card with very little material! The result is fantastic every time and leaves room for creativity that inspires you during the season. You can change this DIY Easter by changing the material, mixing the colors or by creating new textures. 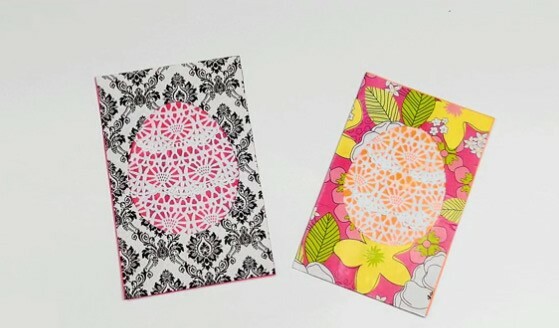 Watch the video that explains how to make an Easter Egg Card for Sping. Difficulty: The cutting of the center is more easily done with scissors. In the case in which scissors are used, this step must be done by an adult. Begin by printing the template of the card directly on the colored cardstock. You can find the pattern to be printed at the bottom of the page. Then cut out the unnecessary overhangs then fold the card in half respecting the lines drawn on the model. Take the piece of wrapping paper and place it upside down face up, then place the folded card 2 and using the pencil to draw a rectangle the size of the board for cutting. Glue the piece of gift paper on the outside of the card which is the drawing of the Easter egg. 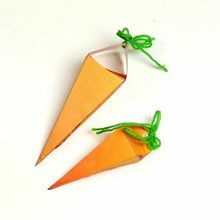 Then open the visible inside card and cut out the shape of the egg depending on the model. You can choose the size of the egg that is best for you because the template has been designed to cut out eggs of different sizes. For the card you'll see in the video we chose to cut the biggest Easter egg. It will then close the card and using a pencil, trace the shape of the egg following the contours that have been cut. 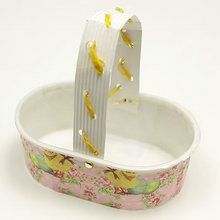 After, use only the jagged outline of the cake lace doilie and cut into pieces as shown in the video. 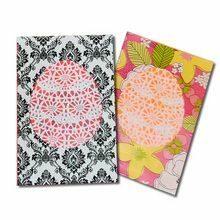 Open the card again, apply glue to the inside of the egg shape you just had drawn and paste cake lace doilie pieces and superimposing them to cover the entire portion of the egg. It does not matter if the pieces stick out. 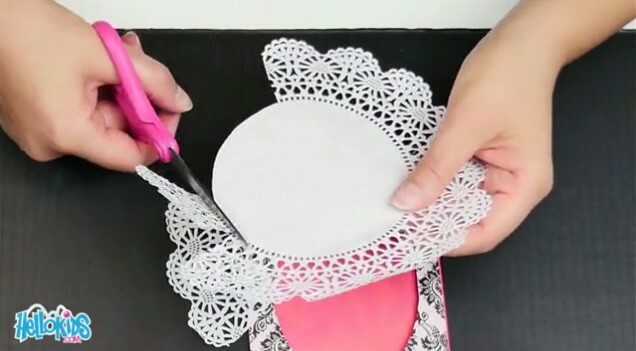 Finally, spread glue around the lace and close the card. Although press all the surface to smooth the glue. The Easter Egg card is complete! You can choose to send or use as an Easter menu by writing the menu on the back.